I'd like in on this too. I'm a retired cop and computer geek, so maybe I could be director of computer security. Or maybe I could program the airplanes to not go nose down all by themselves. I have lots of good ideas. Can you share a different link to the photo above? That one is broken. Thanks. 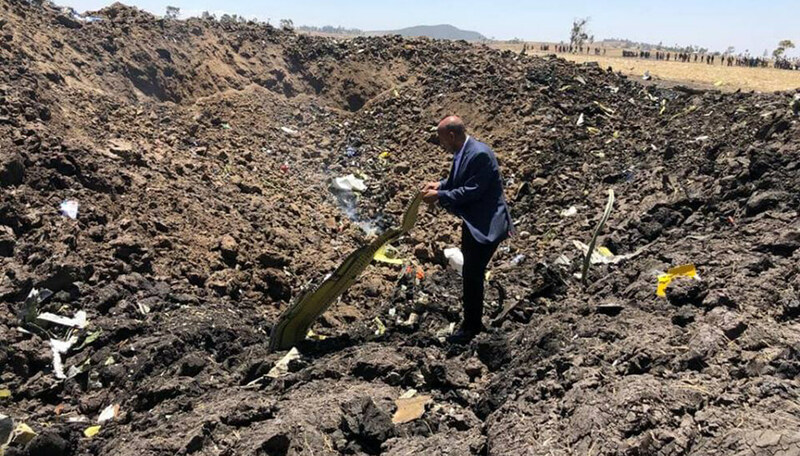 Distasteful CEO pic "inspecting" the wreckage inside the crater. Awful idea. Your recent flying experiences have been traumatic. eeghh. Not so cool, the poor woman has been kidnapped for two months. Per needs to be a man and do the right thing. Bah, she ran away with her lover, hubby closed bank account, hence "kidnapping". I hope you're right. I note no toes or fingers have appeared in the post. Team, unfortunately we are once again under attack from spammers. I have taken remedial action to minimise impact, however there have been over 100 bogus accounts registered - 70 in the last 24h alone. I remain, as ever, your faithful administrator. Topic: ad.info logo 2019 - submissions open! ad.info logo 2019 - submissions open! It's that time of year again when we start to look at submissions for the ad.info logos once again! I'll be accepting submissions through december to cycle through over 2019.